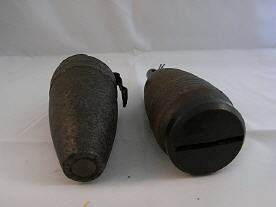 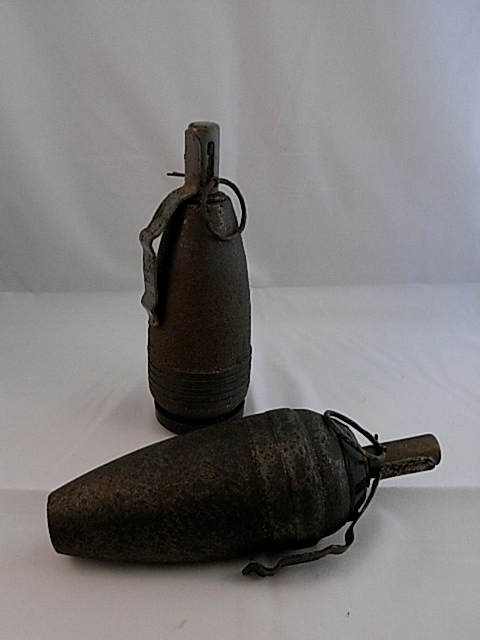 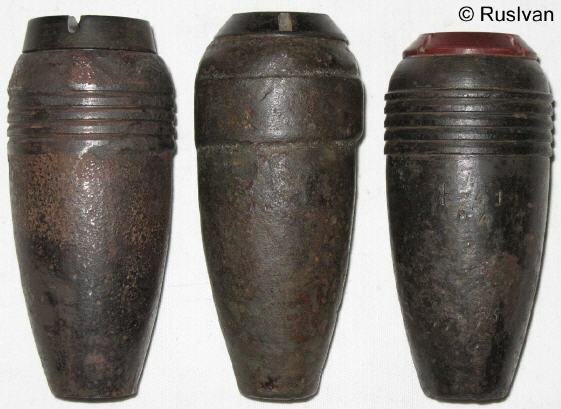 These grenades were an improvisation made from a 50mm mortar shell which had its tail section removed. 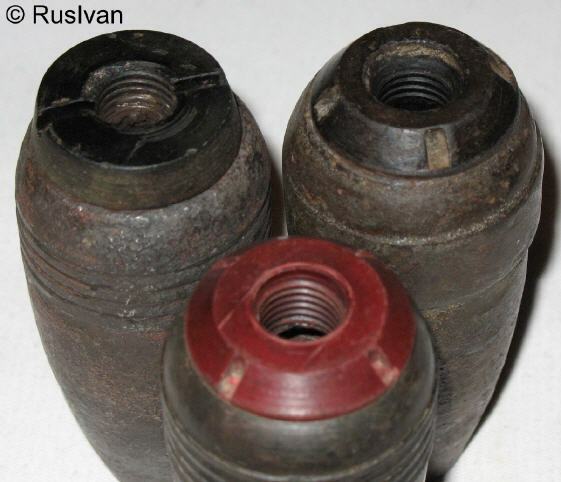 Instead of its original fuze, it had a Koveshnikov or UZRG fuze fitted in an adapter in the top of the shell, or in the base where normally the tailsection is fitted. 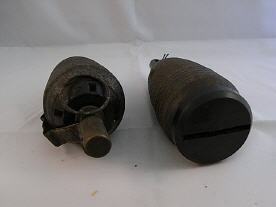 In that case the normal fuze well was closed by a cover. The three photos below © Rob V.